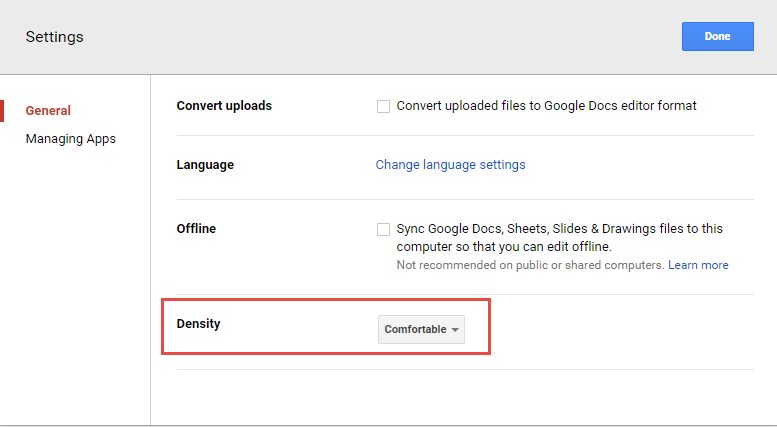 There are a couple of easy ways to customise the Google Drive web interface to suit your needs. In this blog post, we’ll take a look at how to change the view and display density of the interface. 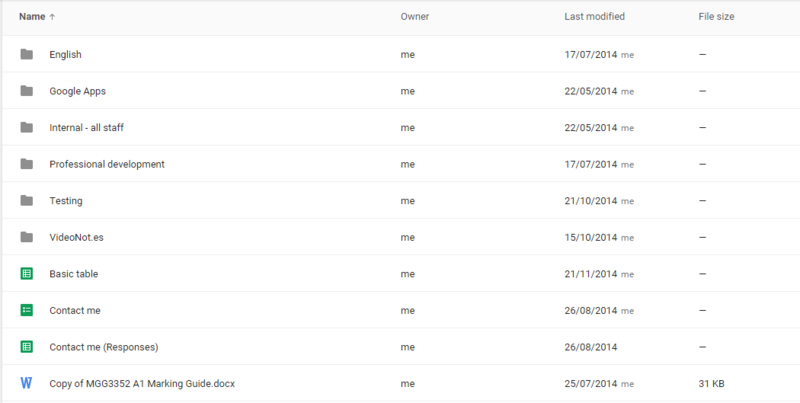 Your Google Drive files can be displayed in either a list or grid view. The different options are shown below. To change the view, simply toggle the Grid view / List view button at the top right of the Drive screen. Note: This is setting is really only effective if you’re using the List view to display files. 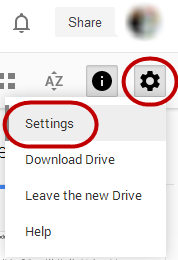 To change the density, select the Settings cog button at the top right of the Drive screen and select Settings. Change the Density option to your desired level.